Liverpool have completed their first piece of summer transfer business this week as the Reds signed 19-year-old Chelsea striker Dominic Solanke. Liverpool will pay a reported £3 million for the Englishman as the fee will be settled by a tribunal. According to one source, supporters have had mixed feelings over the signing of the England under-20 player. Solanke’s youth should be a big plus for Liverpool, however, as he can develop under manager Jurgen Klopp for years to come. However, the biggest knock against Solanke will be his lack of experience playing at the top level of English football. The striker only played once for Chelsea’s senior side before being shipped off to Dutch side Vitesse in the 2015-16 season on loan. 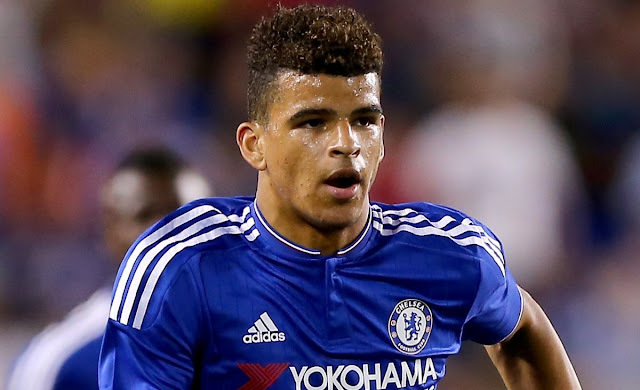 During his year-long loan in the Netherlands, Solanke tallied seven goals in 26 games. The club finished ninth in the Eredivisie, scoring 55 goals in the ultra-high scoring Dutch top-flight. Solanke tallied more goals in the Netherlands than Liverpool striker Daniel Sturridge did in the Premier League in 2016-17 (three). Of course, the two leagues are different, but it does show the new signing has lots of promise. Perhaps the biggest complaint is that Solanke is a relative unknown. He never truly played for Chelsea’s senior team – just once – and fitting into the Liverpool squad may take him sometime. However, the player is only going to cost the Reds £3m in a football world that sees exorbitant fees paid out to players who have proven little. Solanke can develop under Klopp much like the players that the German worked with during his time at Borussia Dortmund. Fans are foolish to expect Solanke to be the finished article as the teenager still has a lot to learn. With the signing of Solanke, Liverpool have added a promising young player for what is considered pocket change by the biggest clubs in world football. Liverpool still plan to sign Naby Keita, but the Solanke deal came about quickly; and in comparison, the Solanke deal was far more straightforward to complete. Former Nigeria youth international Taiwo Awoniyi is happy with the early acquisition of Nigerian-born Dominic Solanke by Liverpool and has also set targets for the next season, reports Completesportsnigeria.com. Awoniyi is owned by Liverpool, who Solanke will officially join from Chelsea on 1 July. "I'm happy that there is going to be another Nigerian at Liverpool. It's a big club. He was on loan from Chelsea at Vitesse Arnhem, so I know he's a good player," Awoniyi told Completesportsnigeria.com. "On my part, I scored three goals last season (2016/2017) but I hope to score more either at NEC where I was on loan or at Liverpool. "I don't know where I will play next season yet, but I'll do my best at pre-season and see what happens." Solanke made his senior debut for Chelsea as a substitute in a Champions League tie in October 2014, and scored seven goals in 25 Eredivisie appearances during his loan spell with Dutch outfit Vitesse Arnhem in 2015-16.